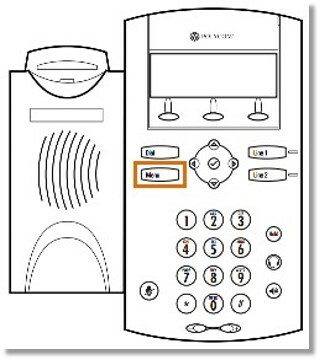 AT&T Office@Hand supports an array of tested Polycom IP Phones which work well with your AT&T Office@Hand service. This article will guide you on how get the IP Address from your polycom phone. Plug the ethernet cable to the back of the Polycom device and to the router. Make sure the device is ON. Select Status from the menu list or press 2. Select Network from the menu list or press 2. Select TCP/IP Parameters from the menu list or press 1. From TCP/IP Parameters, you will see the IP Address of the phone. DHCP will be displayed as disabled if the phone is set to Static IP. 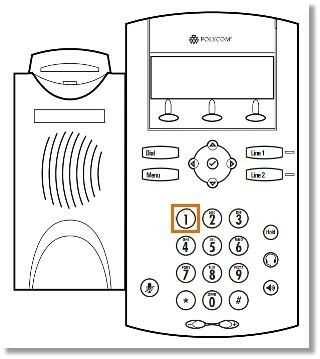 Note: For other Polycom VVX phones, you may get the IP address by navigating to Settings > Status > Platform > Phone.